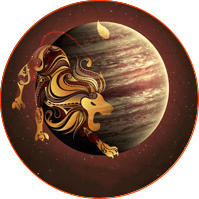 Planetary transits are the motion of the planet through the zodiac in respect to your birth chart's Rashi (Moon-sign). The planets influence your life in specific ways as they travel through the signs. This free report gives you the analysis for your running transit of Jupiter, Sun and Saturn. Fill in your birth details and then select the date you want the transit for. Astrobix will calculate your birth chart and your transit chart and will give you the anslysis for your planetary transits.